Whether it be StarCraft or Warcraft, game developer Blizzard has a look. It has style. Pizazz, if you will. At the Museum of Contemporary Art in Taiwan, Blizzard is showing off more than 700 pieces of art from the Diablo, StarCraft and Warcraft series. This is the first time for Blizzard to hold an exhibition for its art overseas. 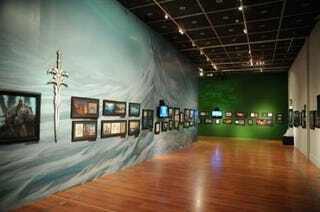 Titled "Fights, Flights & Frights Inside the Storm", the show runs until October 10, 2010.